In the first century AD, the Roman Empire faces a new threat from its long-standing enemy Parthia. Parthia is vying with Rome for control of Palmyra an officially neutral kingdom. Palmyra's royal household is on the brink of open revolt, and so a task force under the command of experienced soldiers Macro and Cato is dispatched to defend its king and guard its borders. Superb history and pulse pounding excitement. 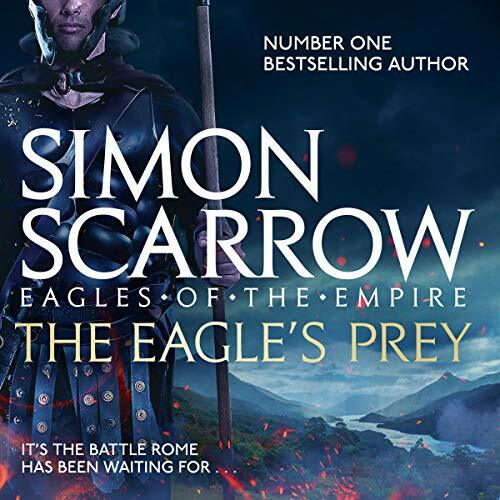 The Eagle's Prey is the thrilling fifth novel in Simon Scarrow's best-selling Eagles of the Empire series. 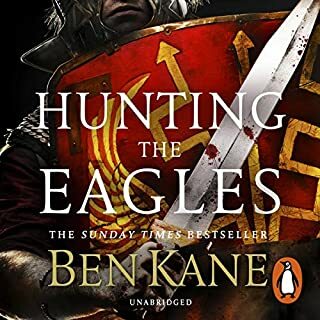 A must-listen for fans of Bernard Cornwell and Conn Iggulden. It is late summer AD 44, and the battle-weary Roman legions are in their second year of campaigning against the British tribes. The troops' commander, General Plautius, is under pressure from the emperor to crush the natives once and for all. Centurions Macro and Cato are with the crack Second Legion under the precarious leadership of Centurion Maximus, and it's their task to hold a ford across the river Tamesis when the natives are forced into a trap. But Maximus' nerve breaks at the critical point, allowing the enemy leader, Caratacus, and his men to escape. Outraged by this failure, General Plautius orders the decimation of the unit. Their choice: die, or escape to become fugitives pursued by soldiers of their own ruthless army. Hiding from their former comrades as well as the Britons, Cato's small band of fugitives have only one chance to redeem themselves before they are hunted down like animals. Solid book. Narrator was good but enjoyed the narrator of the first two books better. 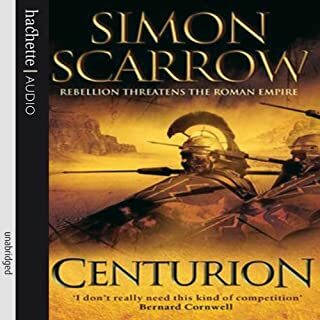 I travel constantly so audiobooks are about the only way I get to read - and I don't know why Cato & Macro 4 & 5 were never available in the States, but I'm glad they finally are. I can give a review in one sentence: I liked the book so much I finished it in less than a day. This series continues to impress! Always a joy to hear what new adventures Macro and Cato will be involved in. Macro and Cato are in trouble again, and this time it is very serious for Cato as his century has been selected for Decimation due to an order from a disgraced Centurian that led to a lost battle, and he and his men must find a way to elude the Legions looking for them and win their way back into the good graces of the army. The story, as usual, is gripping and the descriptions seem as accurate as ever, but what makes these novels so interesting for me is that the characters involved seem full-fleshed and real, the situations they find themselves in seem reasonable, at least for those Roman times, and I find that I care about them as though they were real people. 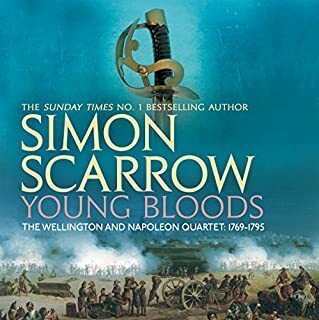 Mr Scarrow's writing is, as always, sharp, clean and gripping and the narration is as fine as ever. I know they will come through their troubles since there are other books following this one, but it always seems as though it is impossible and the tension comes at least as much as how they will do it as if they will do it. Another wonderful book for those interested in the Roman Legions and the trial and tribulations of Macro and Cato. Once again our two heroes battle it out with both the belligerent British and the enemies from within including both incompetent senior officers and the devious upper echelons of the Roman army and Roman politics. This is a series that contains a lot of very good historical detail without ever taking itself too seriously. The chemistry between the introspective and academically-minded Cato and the bluff, straightforward Macro are what really makes these books. There is also of course great battle action plus some clever intrigue and with Jonathan Keeble at the microphone it will always get a fine airing. 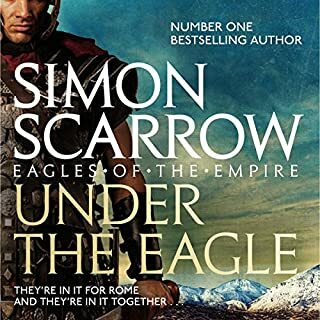 As I get into the later stages of the series it will be interesting to see if Simon Scarrow manages to keep up this good form. So far, and for the next two which I have also read previously, so good. I really enjoyed this book, love the narrator, well worth a listen. Kato has become a more bitter character this time around, his infuriating petulance of the earlier books makes way for cunning and leadership instead. well worth a listen. I hadn’t realised that it was possible for this series to get any better? It just did. I loved this continuing chronicle of Cato and Macro. Top marks ... and so on to the next one! having real problems putting this series down, fantastic books indeed. This brings Roman Britain to life again while deepening the insight into Cato and Macros characters. will be starting the next book straight away! knowing there are more books to come, relieves your thoughts of poor cato sentenced to death, but doesn't detract from the atmosphere of the story. 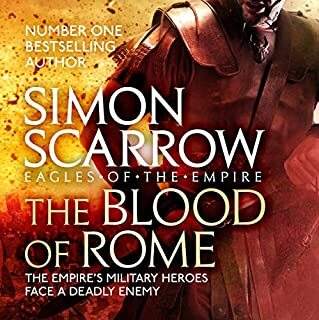 Simon scarrow again puts our hero's in endless perils, even from thier own side. its a great read but there's sadness at the brutality of both sides.. there's always one man out for himself ,or just totally cruel. loved it. Jonathan keeble narration very good, very enjoyable, superb voices and easy to recognise. didnt want to put it down, loved the story, looking forward to the next book. getting used to the naration too. if you've made it this far.. you havent been and nor will you be disappointed..
lots of trademark action but the plot is sensational. Real suspense and brouhoohahahaha. moments. terrific read/Listen. 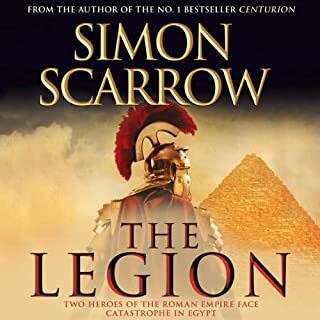 You can tell Simon Scarrow is a scholar of this genre, it is a well researched, informative and thrilling work of fiction. I really enjoyed this chapter of the dynamic duo's journey and was very (happy ? Relieved ?) that he managed to turn the tale around for the ending. Another good job with the narration too. Interesting time of history, interesting and likable characters, great adventures, not too grim, not flufffy. Perfect escapist listening! love this adventure! Macro is a legend and Cato is very interesting. For Rome! Well narrated, with excellent character voices.An exciting story in the lives of Cato and Macro.